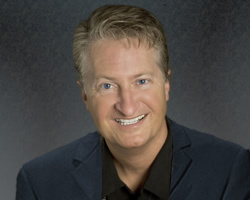 Hailed by the New York Times as a “one of the most influential people in America,” Andy Andrews is an internationally known speaker and novelist whose combined works have sold millions of copies worldwide. An in-demand speaker for U.S. presidents, corporations, celebrities and American military bases around the globe, he is best known for his inspiring novel, The Traveler’s Gift: Seven Decisions that Determine Personal Success (Thomas Nelson, 2002). The manuscript for The Traveler’s Gift, originally passed over by 51 publishers before it was picked up by Thomas Nelson, quickly became an international bestseller with more than a million copies sold. It landed spots on The New York Times, Wall Street Journal, USA Today and Publishers Weekly bestseller lists, was an ABC “Good Morning America” book-of-the month selection and the subject of a two-hour PBS special. The story of one man’s search for meaning and success in life by traveling back in time and conversing with seven historic individuals, Andrews’ message of hope, faith and perseverance in The Traveler’s Gift has transformed thousands of lives worldwide. Andrews is still influenced by his humble beginnings, despite the worldwide notoriety he receives today. At 19, he lost both his parents to tragic circumstances: his mother died of cancer, and his father followed soon after due to an automobile accident. A few years later Andrews was homeless, sleeping occasionally under a pier on the gulf coast or in someone’s garage. However, he was able to pull himself through this tough time, as he began studying more than 200 biographies of history’s greatest successes and failures, including General George Patton, Harriet Beecher Stowe and Daniel Boone. This became the catalyst to his many successes. It is this remarkable true story that inspired his new book, The Noticer (Thomas Nelson) which blends fiction, real-life experience and inspiration to teach readers that a grateful perspective brings happiness and abundance. Set in the author’s hometown, Orange Beach, Ala., a mysterious old man named “Jones” pops into the lives of residents in the midst of crisis – on the brink of divorce, on the verge of financial ruin, about to give up on life – to impart sage-like perspective on how to move past life’s biggest challenges. In a time of uncertainty, rising unemployment and unstable economic conditions, Andrews hopes The Noticer will provide America with proof that there is a reason to have hope, and inspire readers everywhere to take the first step toward major life change. A back-of-the-book reader’s guide helps to facilitate a better understanding of what the character Jones calls “perspective.”Andrews lives in Orange Beach, Ala., with his wife, Polly and their two sons. He is also the author of The Lost Choice and Island of Saints. (JUNE 2013) “America’s Noticer”, Andy Andrews, notices that GUY PENROD is so much more than just another handsome face. 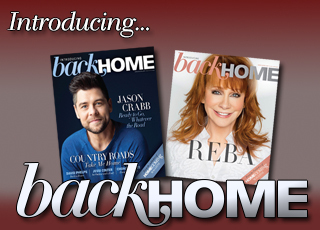 (APRIL 2013) This issue Andy Andrews interviews… Andy Andrews! He’s talked to himself for years. finally, he’s talking back. (JUNE 2012) Andy Andrews shares an observation about making the most of your time with your children. (APRIL 2012) Andy chats with Gordon Mote about some very important matters — like their shared love of football and Gordon’s disdain for bananas! (FEBRUARY 2012) Andy Andrews has a face-to-face chat with one of his favorites — the amazing Sandi Patty.